Thank you to everyone who has donated to our toilets campaign. 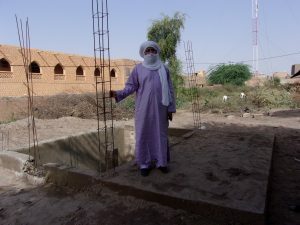 We’ve raised £7300 and building has been completed! 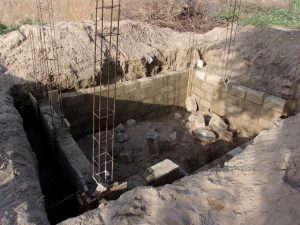 We’ve received the photos below which show the development of one of the toilet blocks. We’ll have more news and photos soon. 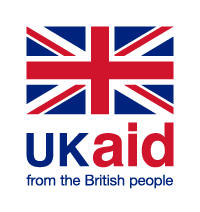 We have no doubt that additional funds will be required for this project so if you can help please donate using the links below. Life in our twin town has been hard recently: first an occupation by armed groups, then continuing shortages and insecurity. 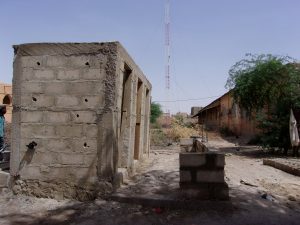 The national Government finds it hard to provide services in the north of Mali, and Timbuktu’s schools have had no investment for many years. 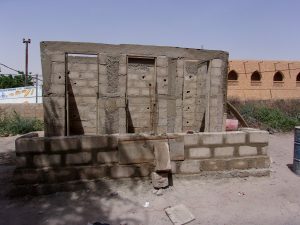 One of the things that schools desperately need is new and refurbished toilets. 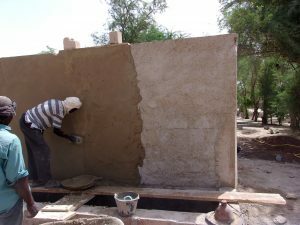 Hay2Timbuktu raised the money to rebuild the toilets at three secondary schools in 2018. 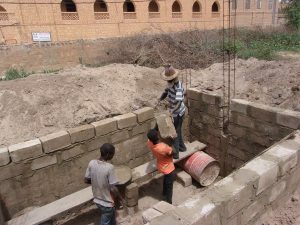 Will you help to provide school students in Timbuktu with a decent school environment? Click the button above to donate online using your debit or credit card. You can send a cheque for your donation. Please make cheques payable to ‘Hay2Timbuktu’ and send to The Treasurer, Hay2Timbuktu, c/0 West Cwm, Cusop, HR3 5RF.